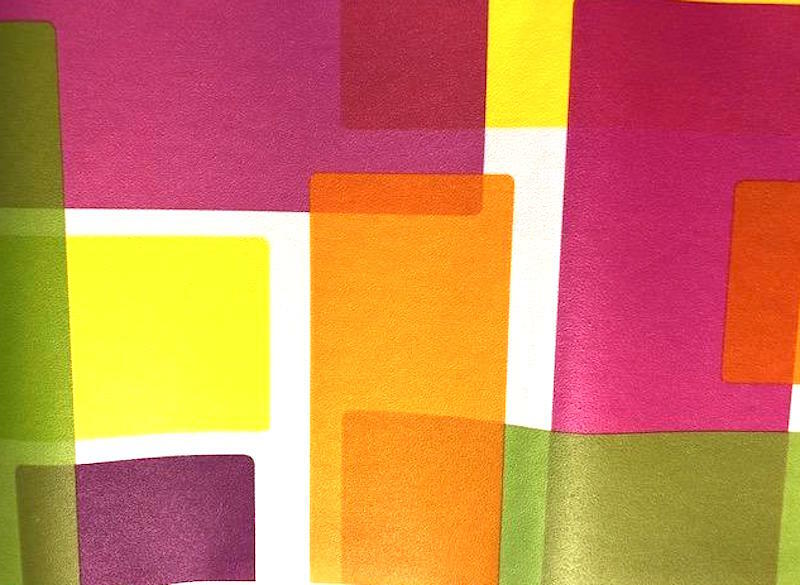 Modern geometric wallpaper border in pink, orange, lime green, purple, yellow, white. Rectangular color blocks of vibrant colors arranged in a random way. Thin white line on the top and bottom edges. Bold and strong. This Modern geometric Contemporary style border is refreshing. Ideal for a big-city loft. Usage: Ideal for a Kitchen or Children’s Playroom.